There’s always plenty to do in Warwick, with a wide range of events throughout the year. This handy long-term calendar is a guide to some of the most interesting, with links or contacts for more information. If you are organising an event which you think will be of interest to visitors or local people, email the details well in advance to whatson@unlockingwarwick.org It’s updated each month. Please see below featured events in Warwick. 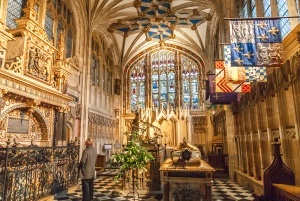 Please contact info@visitwarwick.co.uk if you would like your event to be listed. An all action, dynamic display of aerial acrobatics. Join the Falconer in an epic quest of discovery to find the finest Birds in all Of the land, all set in a stunning riverside location within the grounds of the Castle. Enjoy a mid-week treat as under 18s can come racing for FREE when attending with a full paying adult.The charity Kissing It Better focuses on the beneficial effects of local community and the difference that can be made to the care of patients and their carers within hospitals and care homes. There can be no finer beginning to the thirtieth Festival than a concert from Tasmin Little, and we look forward to welcoming Andrey Gugnin to Leamington for the first time. Tasmin has for years delighted audiences in the area. £24 and £19 reserved, £14 unreserved sides. 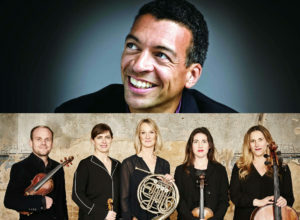 Roderick Williams, described as a national treasure by BBC Music Magazine, as performer and composer, with the première of a work he has written specially for the Quartet and which is a further extension of his Schubert crusade that has seen him perform all three song cycles for Leamington Music. The Quartet in turn champions Schubert’s quartets, in particular the greatest and last of them all in G major. Delius is also part of their mission and leads us to the BBC documentary to be shown on Sunday 5 May in the afternoon. 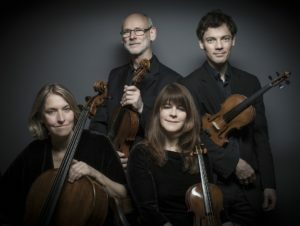 The Trio emerge d from Ensemble 360 in 2012 and since then has appeared regularly in Leamington Music Festivals. mostly of composers deserving more exposure such as Arensky, Lalo, David Matthews, Pixis, Rimsky-Korsakov and Taneyev. The Leonore’s rendition of the trio by Lalo in the 2017 Festival went down very well, and this year’s offering of the first of Schubert’s sublime trios is preceded by Arensky’s wonderfully Romantic first trio from 1894. Tickets: £16 reserved, £13 unreserved sides. 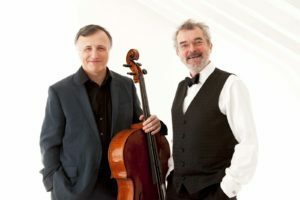 Regular visitors since the 1990s, Raphael Wallfisch and John York were celebrating 35 years as a duo on their last visit to the Festival in 2017 and Raphael returned in the Autumn to play the Bach cello suites in a fund-raising concert in Warwick. This concert begins with an arrangement of Schubert’s music by the great American cellist, Igor Piatigorsky, with whom Raphael studied, and adds some exhilarating Prokofiev to the Delius Sonata and Schubert’s ‘Arpeggione’. A platform to showcase the cream of Warwickshire Music’s students from across the county, performing works that complement the Festival’s programmes and themes. 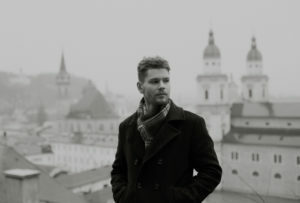 Introduced by Tasmin Little in the opening Festival concert, Moscow-trained Andrey Gugnin gives an all Russian programme, ending with Mussorgsky’s great Pictures at an Exhibition, originally written for piano solo and which Andrey has made a highly acclaimed recording for Steinway & Son’s own label. Andrey has won more than a dozen competition prizes, including Sydney in 2017, appeared in many leading festivals like Verbier, and has played under maestro Gergiev with the Mariinsky and London Philharmonic Orchestras. This year we are excited to present Superhero Family Fun and encourage all our young racegoers to dress as their favorite superhero. 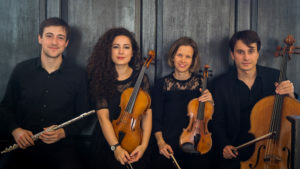 Schubert’s ever popular Quintet and to introduce the audience to the Quintet by Glazunov, written in 1892, during the golden age of romantic Russian music. The concert begins with Mozart’s evergreen, Divertimento in D, written in 1772 when the great composer was just 16 years old and already held the post of Court Concertmaster to Hieronymus Coloredo, Prince Archbishop of Salzburg. 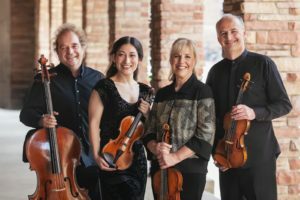 This is the Leamington debut of one of the best young string ensembles in the country, joined by their pianist Tom Poster for one of Shostakovich’s most powerful works. With the charming sextet from Strauss’s opera Capriccio and Tchaikovsky’s rousing Souvenir de Florence, this is a true Festival programme. 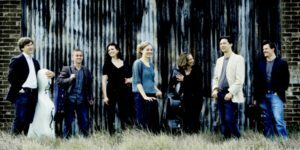 Four young musicians who met,following their studies, in the Southbank Sinfonia bookend charming works by Schubert and Mozart with two Czech works. 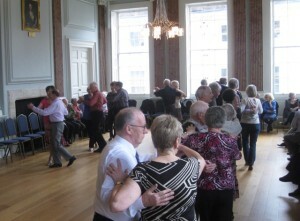 Professional dance teachers lead you through some ballroom classics. 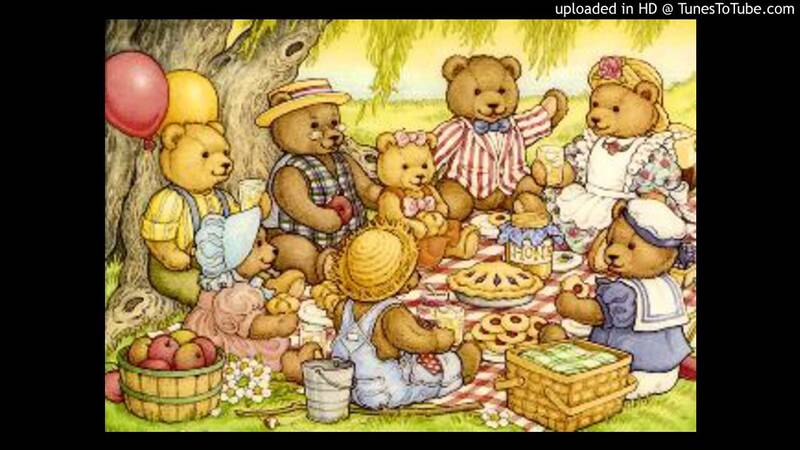 With tea, cake and time to chat. 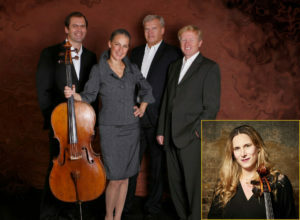 This first of two concerts is entitled Russian Themes and Intrigues. Local artisans, artists & crafters selling a wide range of handmade products. T his evening of fun needs no introduction; it’s Ladies Night, Let us entertain you! If you fancy your chances in winning a selection of incredible prizes then grab your glad rags and join us . An evening of 50’s, 60’s and 70’s feelgood, country, rock & roll classics performed on the ukele. Tickets available from Warwick Arms Hotel 01928 492759 and Presto Music, Leamington. Limited availability on the door. Registration: Registration for this event is FREE. This means we completely rely on your sponsorship so please raise as much as you can to help us continue providing care and support to our patients and their loved ones!Picture your ideal Sunday. Does it involve a peaceful walk in the picturesque Warwickshire countryside? If so, Walk for Myton could be the Myton fundraising event for you and the whole family- even your dog. Walk for Myton is a sponsored walk which starts and ends at Warwick Myton Hospice. You can choose between three different routes, a casual 3 mile stroll, a more demanding 6 mile walk or a 12 mile hike for those looking for a challenge. After you have completed your chosen route, you are invited to relax in the stunning grounds where we will be offering a range of entertainment on site for all the family! You can enjoy some tasty food from our BBQ, treat yourself to a well-deserved drink (or two) and unwind to some live music. Over £100,000 of prize money will be on offer- on Proudly Warwick race day across 7 exciting races. Feature races The Wigley Group Carnival Chase (£30,000) and the Feldon Dunsmore Building Solutions Hurdle (£25,000). Both races are to be run over two miles and are likely to throw some future stars into the history of our fantastic track. Experience a spectacle never before seen in the UK, complete with perilous stunt riding, fearless jousting and epic special effects. 1455 and the House of Lancaster holds the English throne. King Henry VI’s crown is challenged by the House of York. The rival houses clash in battle and the bloody war that ensues was to last over 30 years. Marvel as the legendary Wars of the Roses unfolds before you during an epic live action show at Warwick Castle. Experience a spectacle never before seen in the UK, complete with perilous stunt riders, fearless jousting and state of the art special effects. 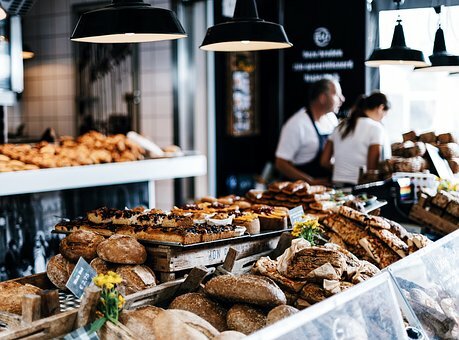 On Sunday 26th May 10am – 7pm, there will be an amazing opportunity for visitors and residents in Warwick to learn and enjoy all aspects of food and drink. Unlocking Warwick volunteers will guide you around the outside and inside of the restored Grade -1 listed Court House Jury St Warwick, telling the story of the buildings on this central site, and some of the history of the county town. No need to book. Just turn up. numbers are to be limited, so first come first on tour. Assemble in the Visitor Information Centre. Warwick is brought to you by Magic of Thailand. treat yourself to a weekend wonder and bring along your families and friends to feel a touch of Thai culture, where you can challenge your taste buds and feast your eyes on world class food and performances. The festival starts with a traditional food offering to Buddhist monks and Entertainment throughout the day including traditional music and dancing, Muay Thai boxing, Ladyboy show, Thai beer garden,Thai food and produce Stalls, Thai massage,children’s play area. 10.30am – 19.00 both days. Ticket prices to be agreed. Free parking. The 2019 Two Castles Run will be held on Sunday 9th June. Online registration will open at Midday on Friday 1st March. The Two Castles Run is organised by the Rotary Club of Kenilworth and Leamington Spa Cycling and Athletic Club, entirely by unpaid volunteers, with all proceeds being donated to charitable causes. Aim to arrive at the start by 7.30 am at the latest. The Run will start at 9.00 am. Access from Warwick Castle’s Stratford Road car park to the Castle grounds will be closed at 8.45 am. If you arrive after 8.45 am, you will not be permitted to join the Run. The OVO Energy Women’s Tour’s fourth visit to Warwickshire in as many years will be celebrated with Burton Dassett Country Park hosting the first hill-top finish in race history . Unlocking Warwick volunteers will guide you around the outside and inside of the restored Grade -1 listed Court House Jury St Warwick, telling the story of the buildings on this central site, and some of the history Assemble in the Centre of the county town. No need to book. Just turn up, numbers are limited, so first come, first on tour. Assemble in the Visitor Information Centre. Please visit our website at www.warwickshireopenstudios.org to plan your visit and find out about the many local artists taking part in the event. From pageant wagon to play, from talented to terrible, this evening will explore the history of theatre and performance focusing on Warwick Castle and its owners. The lecture will explore how history has been passed down through generations in the form of storytelling and performance. History team expert, Mark Winnett, will focus on the wider history of theatre as well as Warwick’s own performers in this engaging and informative lecture. The History Team will also be hosting lecture evenings on Monday 23rd September 5pm and Wednesday 20th November 5pm with content subject to be confirmed, but tickets are already available for all dates. Unlocking Warwick volunteers will guide you around the outside and inside of the restored Grade -1 listed Court House, Jury St, Warwick, telling the story of the buildings on this central site, and some of the history of the county town. No need to book. Just turn up. Numbers have to be limited, so first come first on the tour. Assemble in the Visitor Information Centre. No need to book. Just turn up. But numbers have to be limited, so first come first on the tour. Assemble in the Visitor Information Centre. 2019 is our 40th festival! If you’ve not been for years, come and see what’s changed. If you’ve never been to Warwick Folk Festival, come and see what you’re missing! Folk Superstars headline at 40th Warwick Folk Festival! The hugely successful and popular Warwick Folk Festival returns with a heavyweight line up of folk superstars from around the world from 25 – 28 July at Warwick School and the surrounding town. Now in its 40th year, the colourful festival will be headlined by stars such as Billy Bragg, Skerryvore, Karan Casey, Breabach, Will Pound & Eddy Jay, Calan, O’Hooley & Tidow, Nancy Kerr, John Kirkpatrick, Blair Dunlop and Kabantu. There’s no mistaking the buzz in Warwick when our award-winning Festival Fringe arrives! On the streets and in pubs, cafes, restaurants and even churches, an ever-changing kaleidoscope of colour, sound and energy ensures that the Festival Fringe is firmly established as the busiest – and best! – weekend in Warwick’s busy calendar. Smith Street Party to celebrate the Warwick Folk Festival. 100 Mile Route- The most challenging route offering the biggest challenge and suitable to riders with experience and the ability to cycle this distance in reasonable time. Mini Myton Cycle- A new addition to 2019 a fun cycle ride through St Nicholas Park starting and finishing at The Warwick Myton Hospice. Fun for all the family! Experience a full evening of spectacular entertainment combining fearless fire jousting, perilous stunt riding and epic battles. From 10 am on wards. It’s Free and no booking required! This year on 17th August, Warwick Boat Club hosts the 31st Anniversary Warwick Regatta.The event has been held by Warwick Boat Club on the River Avon, with the picturesque setting of Warwick Castle as the backdrop, every year since 1988 following the reformation of the Rowing section in 1987 and attracts hundreds of crews from around the country.Novices, juniors, seniors and veterans race along the 500m sprint course through St Nicholas Park and Myton fields, with special races designed for beginner crews too. Unlocking Warwick volunteers will guide you around the outside and inside of the restored Grade -1 listed Court House Jury St Warwick, telling the story of the buildings on this central site, and some of the history of the county town. Assemble in the Visitor Information Centre. No need to book. Just turn up, numbers have to be limited so first to come, first on tour. The Ballroom at The Court House and Pageant Gardens – Warwick Horticultural & Allotment Society Annual Show is back . 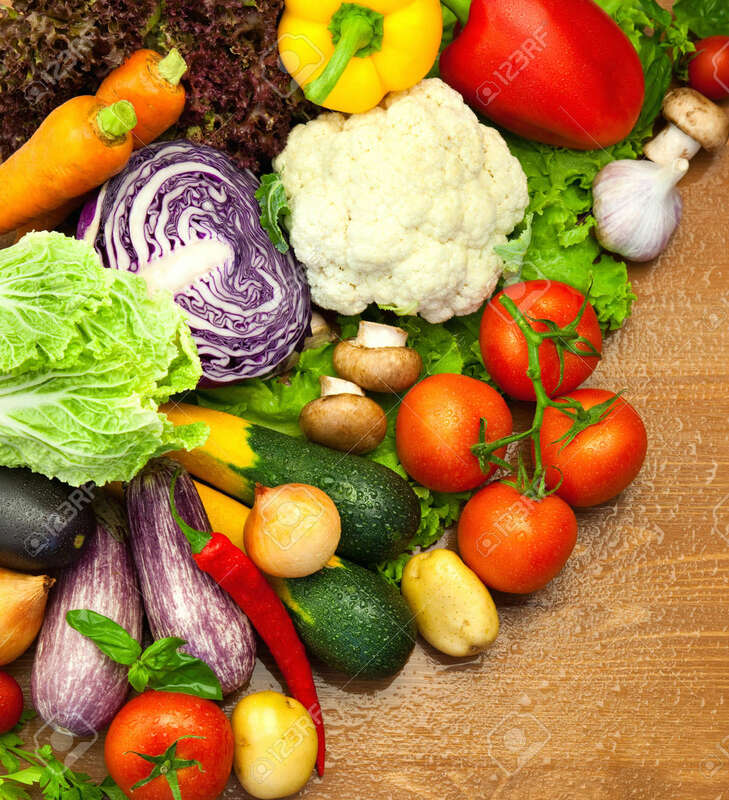 There are 68 classes …which include Floral Art, Flowers, Vegetables, Fruit & Household Classes. with special classes for young people and a group challenge prize 28 cups & trophies. Join in the fun at this FREE family fun day in St Nicholas’ Park, Warwick. Unlocking Warwick volunteers will guide you around the outside and inside of the restored Grade -1 listed Court House Jury St Warwick, telling the story of the buildings on this central site, and some of the history of the county town. No need to book. Just turn up. But numbers have to be limited, so first come first on the tour. The event has the flavor of a large village fete, with lots of activity happening around the site. Tony Grattan and Jacky Priest are leading the organizing committee. Free entry to the event, (some activities are by donation), please bring the family and tell your friends. Situated on the River Avon in Warwickshire, Warwick Castle is one of England’s oldest castles, originally built by William the Conqueror in 1608.
get ready to sing, dance, laugh and love all over again. You’re invited to return to the Greek island of Kalokairi in an all-new original musical based on the songs . 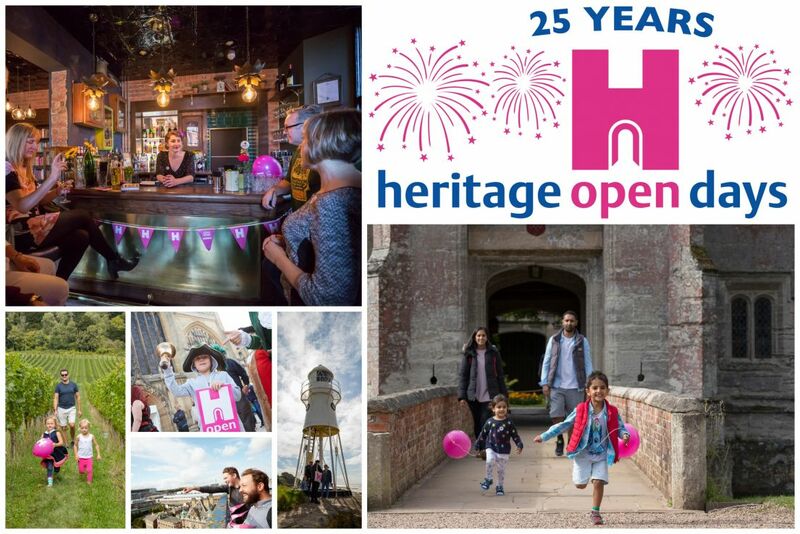 In Warwick many historic buildings and places will open their doors to the public, free of charge for this event. No need to book. Just turn up. But numbers have to be limited, so first come first on the tour. Lots of chocolate, be it cake, truffles, beer, wine and even gin, what’s not to love!! The beautiful setting for the annual Christmas Tree Festival that opens on Warwick Town Victorian evening, Visitors can vote for their favourite Christmas tree and be entered in the prize draw. All the trees are individually decorated by the community and local businesses.